Long after the workday ends, risks continue at construction sites, as fire, theft and water can cause significant property damage and can potentially delay project timelines and impact budgets. The presence of combustible materials, the lack of effective security controls and unstable structural elements can make sites more vulnerable to loss. Buildings under construction or renovation are particularly susceptible because they are unoccupied with portions unprotected from inclement weather. This increased risk, along with daily changes in construction activities and building progress, presents a unique challenge to those in charge of managing site protection. As mentioned above, buildings under construction have a greater potential for significant property damage from fire, especially before fire suppression systems are installed and operational. Secure site access by fencing the area to avoid vandalism and other losses. These guidelines can help reduce the risk of fire on site. “Hot work”– cutting, welding and grinding. Many construction fires are caused by the improper use of torches for cutting, soldering, roof work, blazing and welding. Contractors should develop and enforce a formal, written, hot-work permit system with all trades and subcontractors based on NFPA 241, Standard for Safeguarding Construction, Alteration, and Demolition Operations. Smoking. Careless smoking is a leading cause of fires. To reduce the chance of fire, smoking should be prohibited inside any building, outside in the vicinity of combustible materials and fuel storage, and strictly enforced. ”No Smoking” signs should be posted at all points of entry. If smoking is allowed, it should only be permitted in designated areas. Temporary heating equipment. Depending on weather conditions, temporary heat (propane, kerosene or electric) may be used on job sites. If this equipment is not kept clear of combustibles, set up incorrectly or not functioning properly, it can cause a fire. Ensure all heating equipment is listed and approved for its intended use, placing temporary heaters only on non-combustible flooring or platforms and keeping areas around space heaters clear of combustibles. Temporary electrical writing and temporary lighting. Many fires are started by improperly installed or maintained temporary electrical systems. Temporary electrical wiring and equipment for light, heat or power purposes should be installed in accordance with the requirements of the National Fire Protection Association (NFPA) 70® National Electrical Code and inspected regularly by a qualified electrician. Fire suppression systems. Permanent fire suppression systems are often not in place or operational on construction sites. It is critical that fire protection systems be installed early and plans developed to provide temporary protection during the course of the project. Fire extinguishers. Fire extinguishers can be the first line of defense for combating a fire on a construction site. Mount fire extinguishers suitable for the conditions and hazards in conspicuous positions, on each floor at each usable stairway and train staff in their use. Good housekeeping. 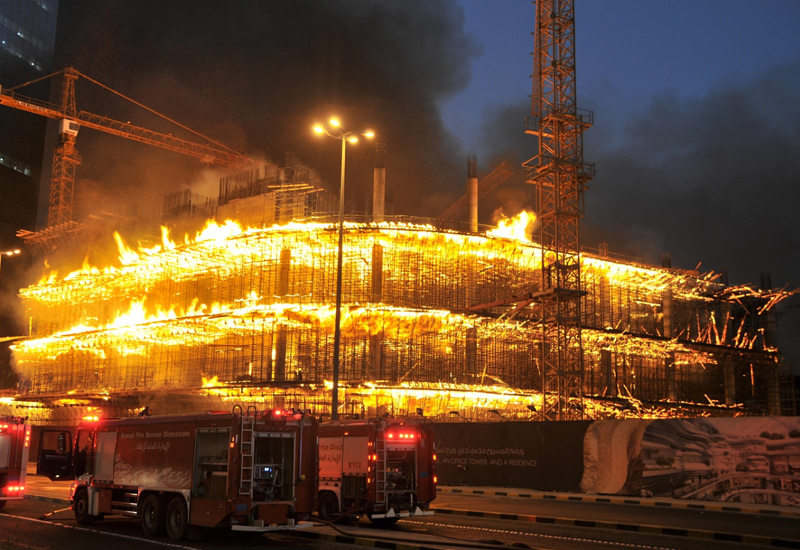 Poor housekeeping practices contribute to fire hazards on many construction sites. Waste material and rubbish should not be stored or allowed to accumulate within buildings or the immediate vicinity, and should be removed from the premises on a daily basis. Keep dumpsters a safe distance from structures. Damage caused by water, whether it is from a pipe leak, weather event or act of vandalism, has become the most common cause of loss on building construction projects. Conduct a job site-specific assessment to identify all the possible sources of water, and develop a water damage prevention plan. Prevention. The best way to avoid loss from water damage is to prevent unwanted water from entering the building. Residential buildings, especially high-rises, present a great risk for water issues because they include more plumbing and bathrooms, making them predisposed to an increase in water damage losses without the proper controls. Potential sources of unwanted water include temporary roofs, balconies, domestic water service, HVAC and fire suppression piping systems. Follow construction specifications, quality control testing and conduct periodic inspections as part of planning to prevent water damage. Detection. Early detection of uncontrolled water inside a building can limit the amount of damage should a leak occur. In addition to instructing workers to report potential leaks to site management, electronic flow/leak detection systems or security guard services can aid in early detection and response. Response. A water damage response plan, including equipment, should be readily available to identify and arm resources with a swift-response guide to help address the water issue before it spreads. 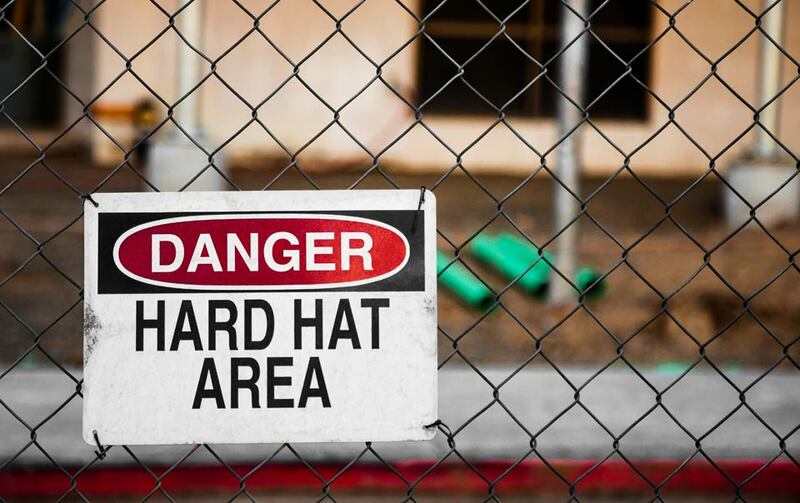 Construction sites are prime targets for theft, vandalism and other unauthorized entry, which can lead to the loss of or damage to work in progress, equipment and materials on the site. Contractors and developers can address this exposure by putting a crime/theft prevention plan in place. A crime/theft prevention plan starts with understanding the potential for crime (theft, burglary, arson and vandalism) in the area. This review will assist in the development of the various layers of theft prevention needed to secure a site. Physical barriers. The front line of defense for a construction site is establishing effective physical barriers and access control to prevent trespassers from accessing the site. This can include full perimeter fencing, locked access gates, interior and exterior lighting and warning signs. Electronic surveillance systems. Continuously monitored motion-activated detection systems, when installed properly, can help to ward off intruders and prevent losses. In addition to the building under construction, you should monitor structures such as office trailers and materials storage areas and containers. Other types of sensors and alarms can be added to many systems such as temperature, water flow, glass break and electrical service. Security guard service. A qualified and insured security guard service should be used be on construction sites to provide an on-site presence during non-working hours, particularly in high crime areas or where values warrant. An effective security service should document periodic rounds of the site, monitor all access points and conditions with clear response and notification procedures to local authorities and site management. Project materials management. Material and equipment is often delivered to construction projects well before the building is even closed in and weather-tight, making it an easy target for thieves because it can be quickly converted to cash from an unsuspecting buyer. Plan for just-in-time delivery of materials if possible, and store them in a secure location to reduce the risk of theft. Lama setelah hari kerja berakhir, risiko berlanjut di lokasi konstruksi, karena kebakaran, pencurian, dan air yang dapat menyebabkan kerusakan properti yang signifikan dan berpotensi menunda jadwal proyek dan memberi dampak finansial. Adanya bahan-bahan yang mudah terbakar, kurangnya kontrol keamanan yang efektif dan elemen struktural yang tidak stabil dapat membuat lokasi proyek lebih rentan terhadap kerugian. 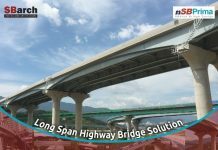 Bangunan yang sedang dibangun atau direnovasi sangat rentan terutama bagian-bagian yang tidak terlindungi dari kemungkinan cuaca buruk. 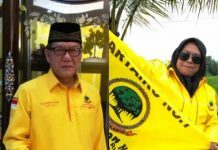 Risiko yang meningkat ini, bersama dengan perubahan harian dalam kegiatan konstruksi dan kemajuan pembangunan, menghadirkan tantangan unik bagi mereka yang bertugas mengelola perlindungan di lokasi proyek. Pengawasan Risiko KebakaranSeperti disebutkan di atas, bangunan yang sedang dibangun memiliki potensi kerusakan properti yang lebih besar diakibatkan oleh kebakaran, terutama sebelum sistem pemadaman kebakaran dipasang dan dioperasikan. Mengamankan akses ke lokasi dengan memagari area untuk menghindari tindakan kejahatan dan kerugian lainnya. Pedoman ini dapat membantu mengurangi risiko kebakaran di lokasi. – “Pekerjaan panas” – memotong, mengelas dan menggerinda. Banyak kebakaran konstruksi disebabkan oleh penggunaan api yang tidak benar untuk memotong, menyolder, pekerjaan atap, membakar dan mengelas. Kontraktor harus mengembangkan dan menegakkan sistem izin kerja panas, formal, tertulis, dengan semua standar berdasarkan NFPA 241, Standar untuk Melindungi Konstruksi, Perubahan Yang Diizinkan dan Operasi Pembongkaran. – Merokok. Merokok yang ceroboh merupakan penyebab utama kebakaran. Untuk mengurangi kemungkinan kebakaran, merokok harus dilarang di dalam gedung apa pun, di luar di sekitar bahan yang mudah terbakar dan penyimpanan bahan bakar, dan diberlakukan dengan ketat. Tanda-tanda ”Dilarang Merokok” harus dipasang di semua titik masuk. Jika merokok diperbolehkan, seharusnya hanya diizinkan di area yang ditentukan. 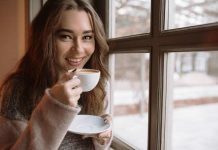 – Peralatan pemanas sementara. Tergantung pada kondisi cuaca, bahan panas sementara (propana, minyak tanah atau listrik) dapat digunakan di lokasi kerja. Jika peralatan ini tidak terhindar dari bahan yang mudah terbakar, pengaturan yang salah atau tidak berfungsi dengan benar, dapat menyebabkan kebakaran. Pastikan semua peralatan pemanas terdaftar dan disetujui untuk tujuan penggunaannya, menempatkan pemanas sementara hanya pada lantai atau platform yang tidak mudah terbakar dan menjaga area di sekitar ruang pemanas agar tidak mudah terbakar. – Penulisan listrik sementara dan penerangan sementara. Banyak kebakaran dimulai dengan sistem listrik sementara yang tidak dipasang atau dirawat dengan baik. 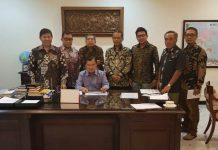 Kabel dan peralatan listrik sementara untuk keperluan cahaya, panas atau daya harus dipasang sesuai dengan persyaratan National Electric Protection Association (NFPA) 70® Kode Kelistrikan Nasional dan diinspeksi secara teratur oleh teknisi listrik yang berkualifikasi. – Sistem pencegah kebakaran. Sistem pemadaman kebakaran permanen seringkali tidak ada atau beroperasi di lokasi konstruksi. Sangat penting bahwa sistem proteksi kebakaran dipasang lebih awal dan rencana dikembangkan untuk memberikan perlindungan sementara selama proyek berlangsung. – Pemadam api. Alat pemadam kebakaran bisa menjadi garis pertahanan pertama untuk memadamkan api di lokasi konstruksi. Alat pemadam api gunung cocok untuk kondisi dan bahaya dalam posisi yang mencolok, di setiap lantai di setiap tangga yang dapat digunakan dan melatih staf dalam penggunaannya. – Tata Graha/Kebersihan Lokasi Proyek. Praktik tata graha yang buruk berkontribusi terhadap bahaya kebakaran di banyak lokasi konstruksi. Bahan limbah dan sampah tidak boleh disimpan atau dibiarkan menumpuk di dalam gedung atau di sekitarnya, dan harus dibuang keluar dari bangunan setiap hari. Jauhkan tempat sampah dari jarak yang aman dari bangunan. Kerusakan yang disebabkan oleh air, apakah itu dari kebocoran pipa, peristiwa cuaca atau tindakan vandalisme/kejahatan, telah menjadi penyebab paling umum dari kerugian pada proyek konstruksi bangunan. Melakukan penilaian spesifik lokasi kerja untuk mengidentifikasi semua sumber air yang mungkin, dan mengembangkan rencana pencegahan kerusakan air. – Pencegahan. Cara terbaik untuk menghindari kehilangan akibat kerusakan air adalah dengan mencegah air yang tidak diinginkan memasuki gedung. Bangunan perumahan, terutama gedung-gedung tinggi, menghadirkan risiko besar untuk masalah air karena mereka mencakup lebih banyak pipa dan kamar mandi, membuat mereka cenderung mengalami peningkatan kerugian kerusakan air tanpa kontrol yang tepat. Sumber potensial air yang tidak diinginkan termasuk atap sementara, balkon, layanan air domestik, HVAC dan sistem perpipaan pencegah kebakaran. Ikuti spesifikasi konstruksi, pengujian kontrol kualitas, dan lakukan inspeksi berkala sebagai bagian dari perencanaan untuk mencegah kerusakan air. – Deteksi. Deteksi dini air yang tidak terkendali di dalam gedung dapat membatasi jumlah kerusakan jika terjadi kebocoran. Selain menginstruksikan pekerja untuk melaporkan potensi kebocoran ke manajemen lokasi, sistem deteksi aliran / kebocoran elektronik atau layanan penjaga keamanan dapat membantu dalam deteksi dan respons dini. – Tanggap. Rencana respons kerusakan akibat air, termasuk peralatan, harus tersedia untuk mengidentifikasi dan mempersenjatai sumber daya dengan panduan respons cepat untuk membantu mengatasi masalah air sebelum menyebar. Lokasi konstruksi adalah target utama untuk pencurian, vandalisme, dan entri tidak sah lainnya, yang dapat menyebabkan hilangnya atau rusaknya pekerjaan yang sedang berlangsung, peralatan, dan material di lokasi. Kontraktor dan pengembang dapat mengatasi paparan ini dengan menempatkan rencana pencegahan kejahatan / pencurian. Rencana pencegahan kejahatan / pencurian dimulai dengan memahami potensi kejahatan (pencurian, pencurian, pembakaran, dan vandalisme) di daerah tersebut. Tinjauan ini akan membantu dalam pengembangan berbagai lapisan pencegahan pencurian yang diperlukan untuk mengamankan situs. – Hambatan fisik. Garis depan pertahanan untuk situs konstruksi adalah membangun penghalang fisik dan kontrol akses yang efektif untuk mencegah penyusup mengakses situs. Ini bisa termasuk pagar pembatas penuh, gerbang akses yang dikunci, penerangan interior dan eksterior dan tanda-tanda peringatan. – Sistem pengawasan elektronik. Sistem deteksi yang diaktifkan gerak yang dipantau secara terus-menerus, ketika dipasang dengan benar, dapat membantu menangkal pengganggu dan mencegah kerugian. Selain bangunan yang sedang dibangun, Anda harus memantau struktur seperti trailer kantor dan area penyimpanan bahan serta wadah. Jenis sensor dan alarm lain dapat ditambahkan ke banyak sistem seperti suhu, aliran air, penahan kaca, dan layanan listrik. – Penjagaan keamanan. Layanan penjaga keamanan yang berkualitas dan diasuransikan harus digunakan di lokasi konstruksi untuk menyediakan kehadiran di lokasi selama jam-jam tidak bekerja, khususnya di daerah-daerah kejahatan tinggi atau di mana nilai-nilai diperlukan. Layanan keamanan yang efektif harus mendokumentasikan putaran berkala situs, memantau semua titik akses dan ketentuan dengan prosedur respons dan pemberitahuan yang jelas kepada pihak berwenang setempat dan manajemen situs. – Manajemen bahan proyek. Bahan dan peralatan sering dikirim ke proyek-proyek konstruksi jauh sebelum gedung dilindungi dan tahan cuaca, menjadikannya sasaran empuk bagi pencuri karena dapat dengan cepat dikonversi menjadi uang tunai dari pembeli yang tidak menaruh curiga. Rencanakan pengiriman material tepat waktu jika memungkinkan, dan simpan di lokasi yang aman untuk mengurangi risiko pencurian.